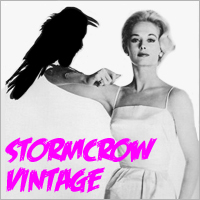 jimmyj enquires about other vintage related websites. CRAZYBUBBA discusses the best eBay tools. jimmyj and others reveal good selling practices. hermosavtg delves in to the most obscure band tees. Are you a vintage aficionado? Register here to jump in and ask questions, share your expertise or speak your mind.